Q: Are these glasses properly rolled? There seems excessive edge thickness. As I see in your pictures, you have myopic lenses and not small diopters. 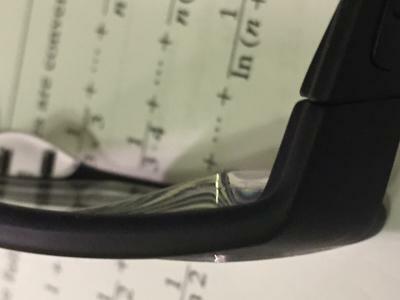 This kind of lenses is thin in the middle and thick at the edges. The bigger the frame, thicker the edge of the lens. 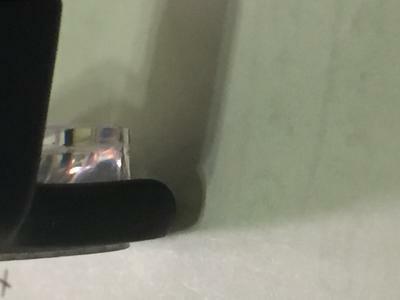 When mounting this kind of lenses in a frame, you cannot avoid showing the thickness of the edge of the lens. 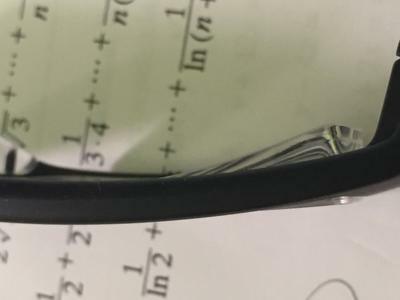 Your glasses are very well done because they tried to hide the thick part in the inner part is the frame so it will not show from the front. It is the only method the hide the thickness, so from the front it looks thin, and from the side, this part of the lens is masked by the temple. Other methods to hide the thickness is to choose a smaller frame so the thickness will disappear when polishing the lens, or choose a thick frame, which will hide the depth.